This image was created specifically for this post by my dear friend, Brett Redgate. Lately, when it is time to get dressed in the morning, my 3 1/2 year old insists on wearing a princess dress. I can occasionally convince her to vary her wardrobe slightly, but that usually requires that the outfit has a horse on it somewhere. Originally, a princess dress was extremely formal and long and sparkly. A.K.A. her flower girl dress. If it wasn’t for trying to stuff the fancy dresses into a carseat buckle, I really wouldn’t mind this so much, but alas, there is no way around the stuffing. With a little encouragement from me, my daughter has decided to allow other dresses into the princess dress category. Requirements include that it is long, no zippers, must have a skirt, and the skirt portion must be longer than the bodice portion. This is serious business. Okay, so that’s harsh, but it was a common thought to enter my head. But I’ve changed my tune. You can wear all the princess dresses you want for the rest of eternity, my dear, for you speak truth. It’s one thing to shout out that you are a princess and go around with a spirit of entitlement. It is quite another to know your identity as a child of the King, and to dress in a way that shows you are proud to be your Daddy’s daughter. As you go throughout your day, remember who you are. Remember Whose you are. 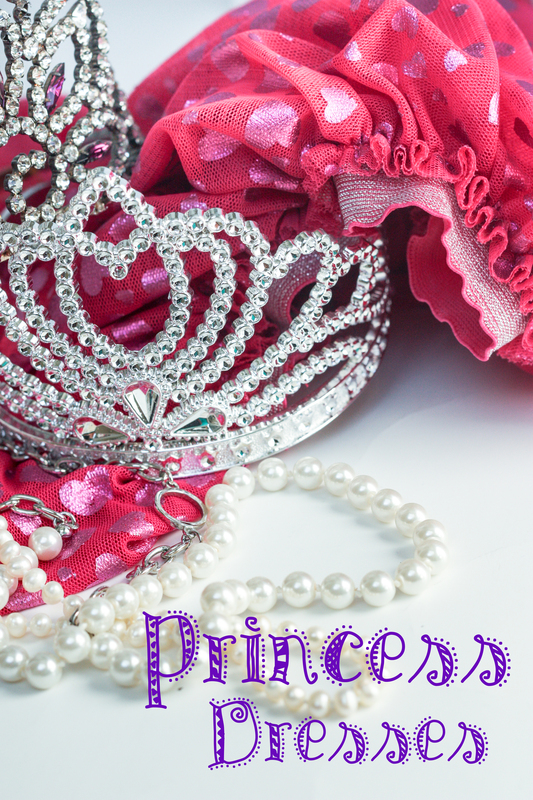 Wear your princess uniform proudly (whatever it may look like). For we, my friends, are all daughters of the King. I see that halo too! As long as she isn’t yelling at her sister, that is ;).These girls love their Mimi and I am thankful for the time that they get to spend with you! Love you! What a wonderful meaning to have for a nickname! I love it!